This issue of Let’s Talk focuses of spirituality. Spirituality is a very big topic—and also a nebulous one. For as many people as may come together for a discussion of spirituality, there may be that many working definitions. My definition of spirituality is: a way of cultivating a relationship with God. It is intentionally broad because it needs to cover many “ways.” There is no one Christian spirituality, there are Christian spiritualities. 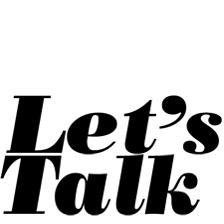 This issue of Let’s Talk offers insights into some of those ways: the way of prayer—both private and public, personal and communal; the way of fellowship—both in parish life and in religious society; the way of spiritual journey—both intentional and exploratory. In the category of spiritual journey the editors of this issue (Tom Knudsen and myself) thought it would be important to provide an introduction to spiritual direction, since many of us hear the term used but few know what it entails; and also a survey of “what is out there” in terms of new age spirituality and the occult, since the book shelves at Border’s and Barnes and Noble often have more titles under these categories than under Judaica, Christianity, and World Religions combined. By means of this essay, I want to suggest that fundamental to all Christian spiritualities are the dimensions of asceticism and mysticism. I want to further suggest as reliable the common view of the great spiritual teachers that spiritual disciplines are never undertaken as ends in themselves, but as means toward union with God. Asceticism comes from ascesis, the Greek word for “exercise.” It is used for the first time in I Corinthians 9, where St. Paul compares the living of the Christian life to an athletic competition in which training is required in order to be able to “run to receive a crown” of eternal life as the goal. Standard spiritual disciplines inherited by Christianity from Judaism include almsgiving, prayer, and fasting (Matthew 6). These are disciplines to be practiced by all disciples of Jesus. They help Christians to conform their lives to the cross of Christ. The highest form of conformation to the cross of Christ, of course, is martyrdom. It is not surprising that the ascetical exploits of the desert fathers began to emerge just at that point in history when martyrdom was becoming less of a possibility for Christians. Some Christians formed religious communities and societies in order to help one another in the ascetical life. But the goal of all asceticism is mystical union with God. Mysticism is the experience of union with God. This means coming to perceive or understand that which has been “hidden” or “secret.” The Greek word mystikos (“pertaining to a mystery”), outside of Christianity, never had any meaning other than the general one. St. Paul, however, proclaims that the mystery of God, or God’s plan of salvation heretofore hidden, has now been revealed in the cross of Christ and given to those who have the mind of Christ (I Corinthians 2). Knowledge of God, or of God’s will, is now truly possible. Christian asceticism is the requirement for, and also leads to, Christian mysticism, just as the cross leads to the resurrection. This is what makes the Christian martyrs the supreme models of Christian mysticism as well as of asceticism; they received a “beatific vision” at the moment of supreme suffering (Acts 7:56). This is also why many of the great mystics in the Christian tradition have been solitaries, monks, and doers of the gospel such as Anthony of Egypt, Benedict of Nursia, and Francis of Assisi, as well as John of the Cross, Teresa of Avila, and Francis deSales. But it would be a mistake to think that the experience of mystical union is limited to the great mystics as such. The God we know is the one revealed in Jesus Christ. To receive Christ or to be “in Christ” is to be in union with God. The gift of mystical union with God is really received by baptism into Christ and reception of the Holy Spirit. But since we live in the world which crucified Christ, and sin, death, and the devil continue to weigh us down, mystical union is only fitfully experienced and we must “run so as to receive the prize” (I Cor. 9:27), using those ascetical or spiritual disciplines that keep us alive in Christ. About the “mystical experience”, therefore, we must say: It is available to ordinary believers and not just to the spiritually elite. 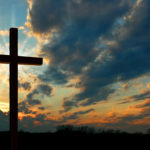 It is available to anyone who knows the “mystery” of God: what St. Paul calls “Jesus Christ and him crucified,” but, more particularly, the cross of Christ experienced in its effects—“Christ in us, the hope of glory” (Col. 1:27). But there is no possibility of a mystical experience without some form of spiritual discipline: e.g. prayer (public or private, communal or personal), meditation (on the word), contemplation (sometimes of an object), fasting (self-denial), almsgiving (self-expenditure). Even so, there is no guarantee that any of these “techniques” will result in a mystical experience; the experience of oneness with God is a gift given, not a state that can be achieved. The so-called “mystical experience” cannot be self-produced; and it cannot be had without being wholly given up to it. We should also note that concurrently with this first Christian use of the term “mystery” as the plan of God, once hidden, but now revealed in the cross of Christ, there was a second use of the term “mystery” as “sacrament”—Christ hidden and revealed through earthly signs. From this St. Gregory of Nyssa in the 4th century and Pseudo-Dionysius in the 5th century developed the use of the term “mysticism” in its present special sense. It is the full and personal application by the Christian of what is proclaimed by the divine Word and given in the sacraments: the fullness of the new life, the divine life, divinization (theosis) communicated in Christ’s death and resurrection. But this means that for Christians the mystical life is received by focusing on content and meaning: the cross of Christ proclaimed in the word of God and celebrated in the Eucharist. It is not received by emptying oneself of all content and meaning, as, for example, in Buddhism. There is nothing in the Christian mystical tradition that is opposed to theology. But it is an apophatic theology—a knowledge of God—rather than a kataphatic theology—knowledge about God.